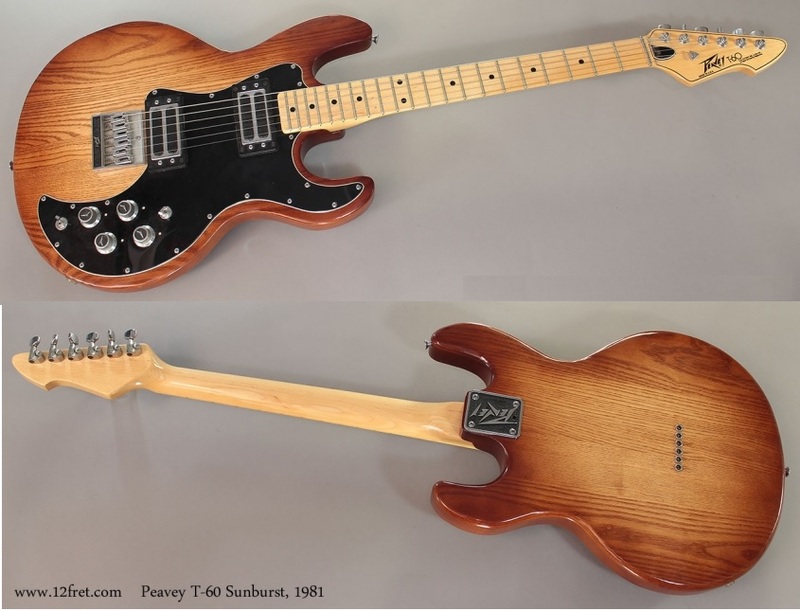 One of the most underrated, and best solid body guitars made in the USA was the Peavey T-60. 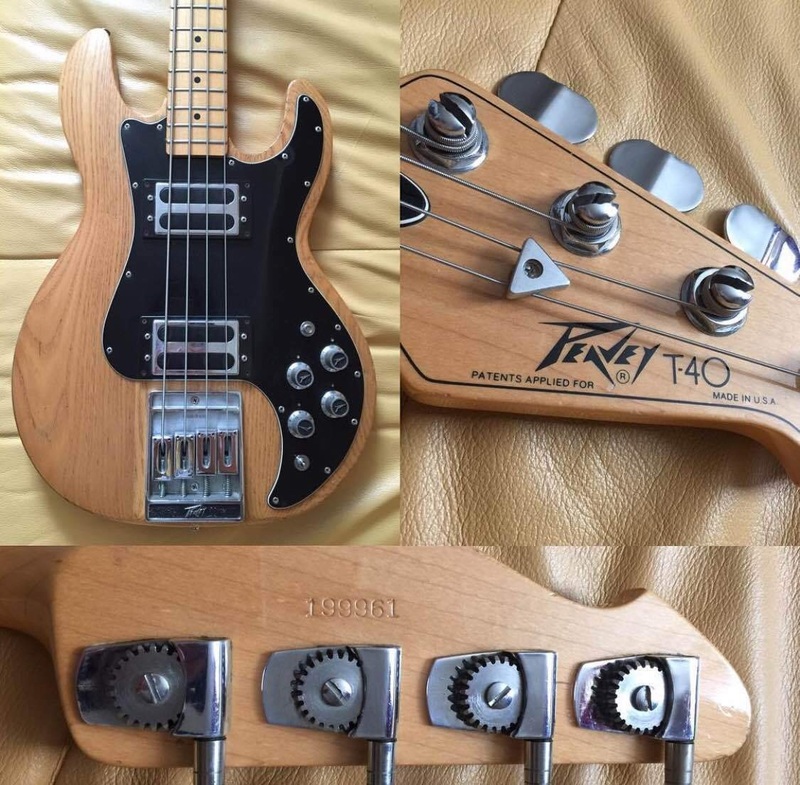 The same can be said for the Peavey T-40 bass guitar. Hartley Peavey graduated from Mississippi State University and went to work at his father's music store. 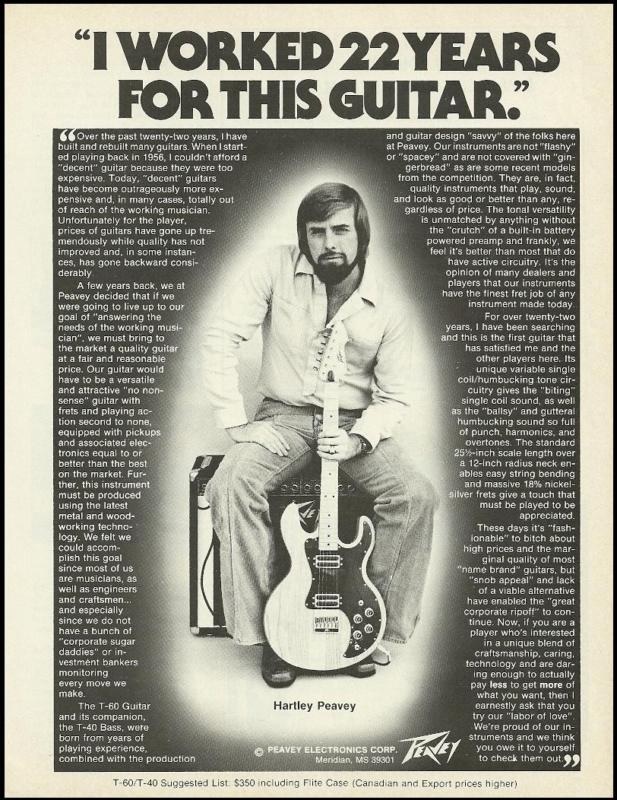 In 1965 Hartley started building amplifiers under the Peavey brand name. His amplifiers gained popularity and so did his reputation for building a dependable product. 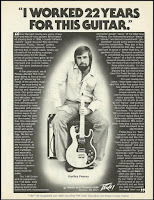 By the early 1970’s Hartley was looking to expand into the guitar market. Competition in the guitar market was rough as this was a time when manufacturers looked to sell more guitars at a lower cost. Peavey was an avid gun collector and knew some things about the mass production techniques used to build rifle stocks in a manner that they would attach to the gun barrels with precise fit. 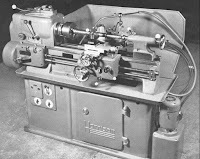 Peavey surmised that he could use a copy lathe, like the gun builders used, to create guitar necks with precision measurements. He became the first manufacture to use this technique. 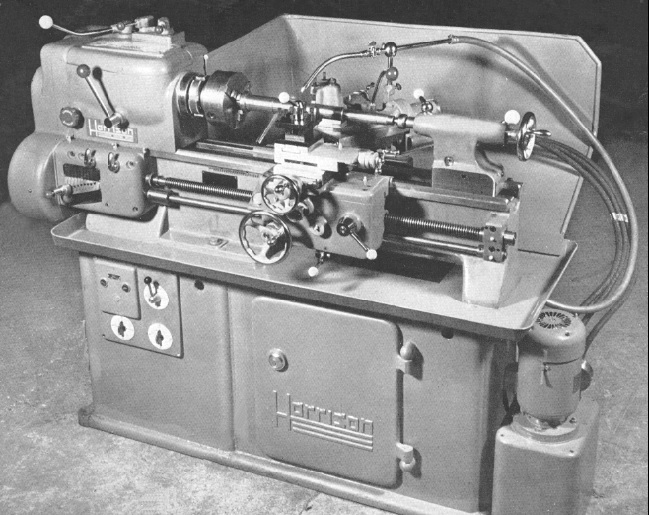 The same process has been done for years since using CNC equipment, however Peavey decided on this technique in the early 1970's at a time when computer aided machinery was in its infancy. 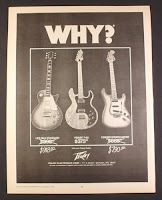 This production method allowed Peavey to build guitars at a high production rate with lower costs, at better quality than his competition. 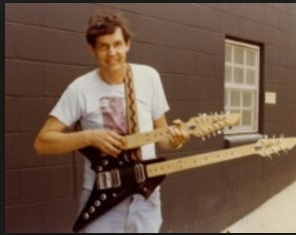 Chip Todd was hired in 1974 by Peavey to oversee the guitar division. 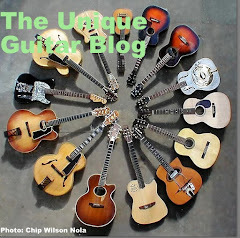 It took several years to overhaul the plant and order machinery to gear up for guitar production. By 1978 the first models were offered. 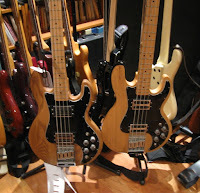 These were the T-60 guitar and T-40 bass. 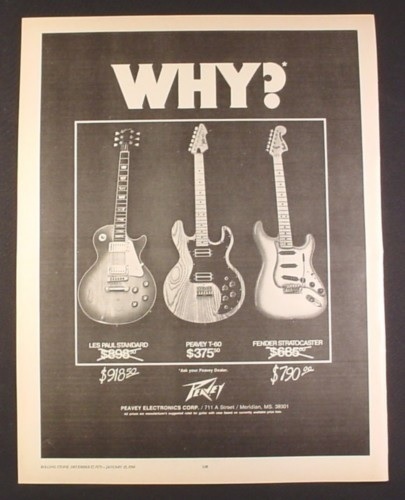 In advertisements of the day, Peavey was offering the T-60 and asking consumers “Why?" And featured pictures of a Les Paul selling for $918, and a Fender Stratocaster selling for $790, and a Peavey T-60 for only $375. And the T-60 was indeed a great guitar. Manufacturers took note. The T-60 was a market changer. By the way, the T is for Todd; as in it’s creator Chip Todd. 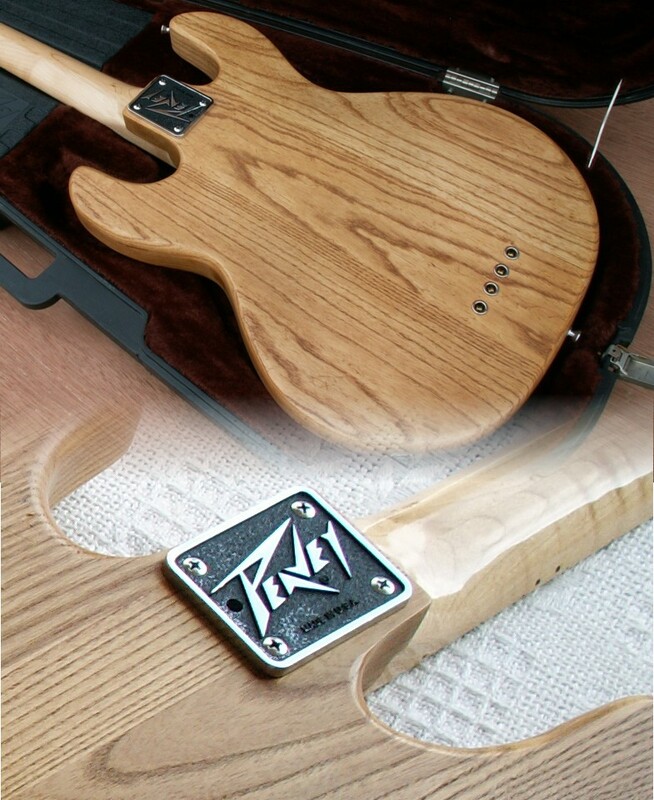 Initially the T-60 was only offered in a natural finish. 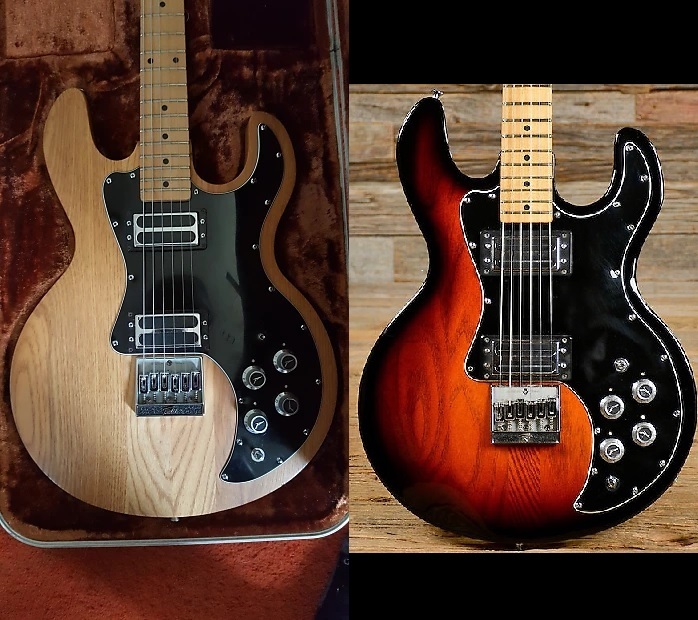 Later models came with either a stained, sunburst, or painted finish. 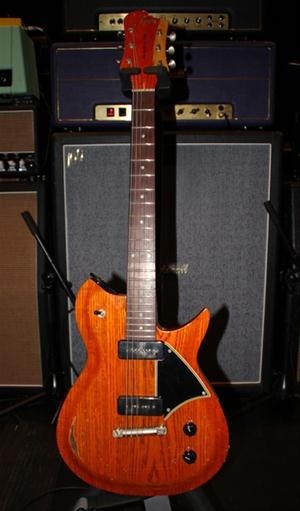 The body shape featured two large horn-cutaways that were more exaggerated than those found on a Stratocaster. Unlike a Stratocaster, the body was not contoured. A common complaint is that the guitar was rather heavy. The body was made of “select hardwoods”, which was either maple or ash (whatever the builder selected from the stack of body blanks). The strings attached through the body, much like those on a Telecaster. The neck had a flatter profile than a Fender. 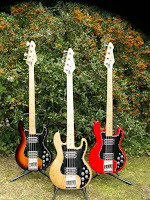 Initially the necks came only with a maple fretboard. 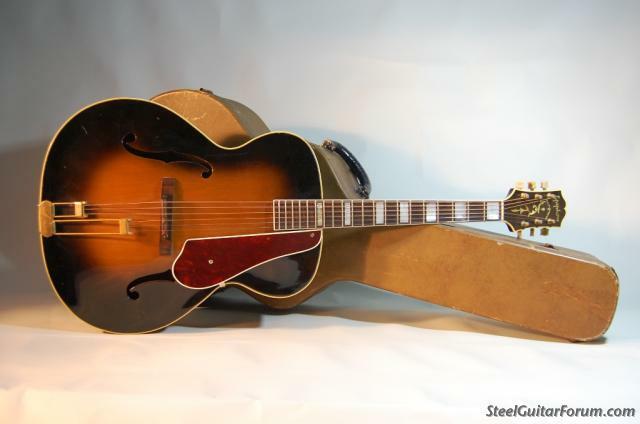 Later models came with a rosewood board. 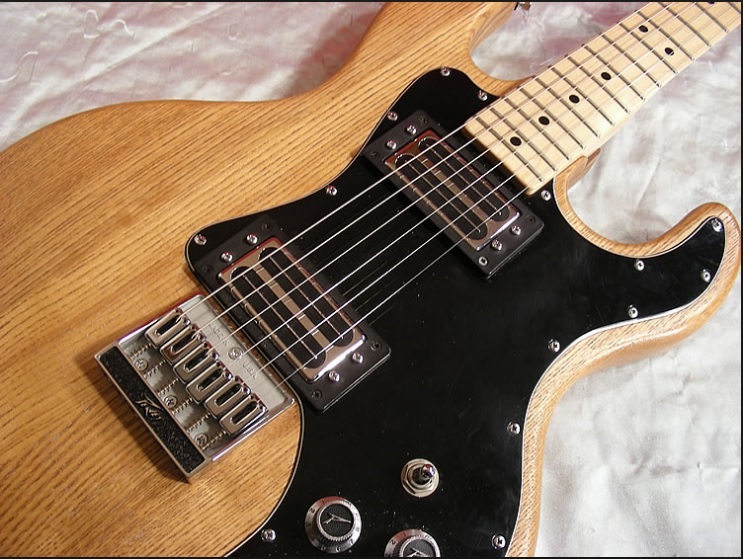 The T-60 neck also featured an aluminum nut built specially for this guitar. The six-on-a-side headstock had a unique shape. It also had a triangular string tree. The T-60 featured an adjustable torsion rod in the neck, to maintain straightness. This was covered by a plastic cover at the base of the headstock that was attached with a single screw. The T-60 also featured a neck tilt adjustment. The torsion rod originally had a hook on its end to grab the wood and prevent the neck from slipping. It seemed like a good idea, but when the rod was adjusted the hook would bend, tear right through the wood, or straighten out. The hook feature had to be filled with epoxy on the initial models to allow the necks to be usable. The other issue involved the tilt mechanism. It was designed to rest up against a piece of metal. 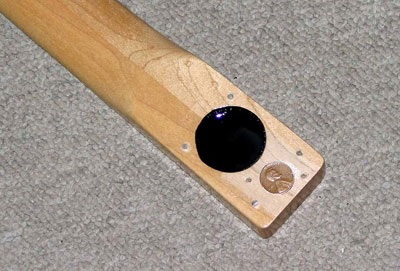 Peavey ordered metallic slugs to place in the routed out area at the end of the necks underside. The slugs were the same size as a United States Nickel coin. While waiting on the shipment of slugs a nickel coin was used. Peavey decided it made more financial sense to use a Penny. If you own a T-60 with the neck tilt feature, and remove the neck, you may find a Penny. 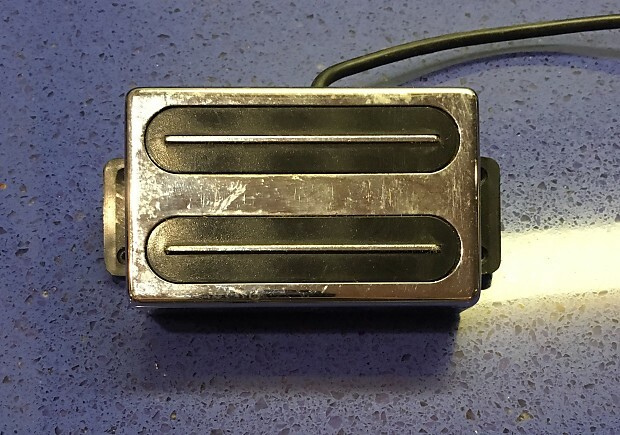 The first edition of the T-60’s humbucking pickups were “toaster-like” models. These had blade magnets under the covers. Later models changed to a blade style, where you could see the blade. The electronics for the pickups were very unique. 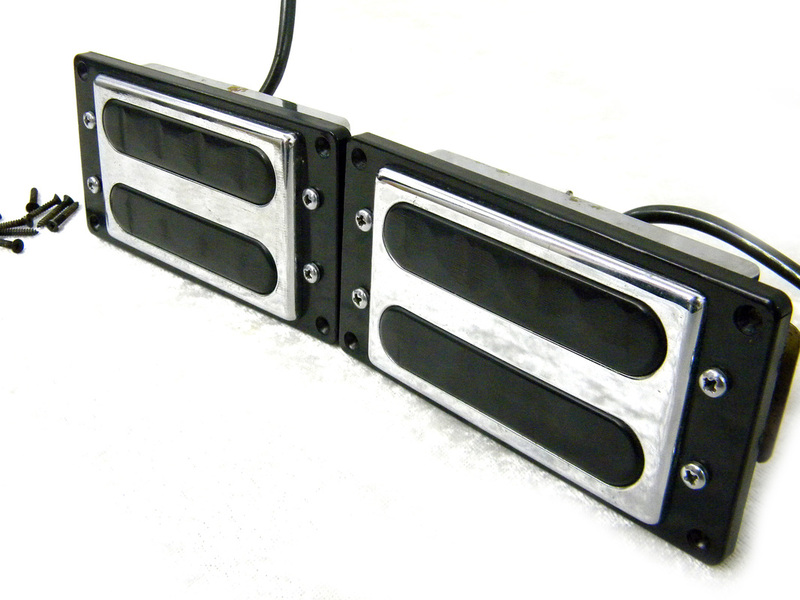 Each pickup had it’s own volume and tone control, and of course a three-way pickup selector switch. A phase switch was also included. The phase control acted when both pickups were both engaged. It reversed the polarity In the bridge pickup. The out-of-phase sound was rather hollow, and timbre could be altered by changing the positions of the volume and tone controls. What were really unique were the tone controls. 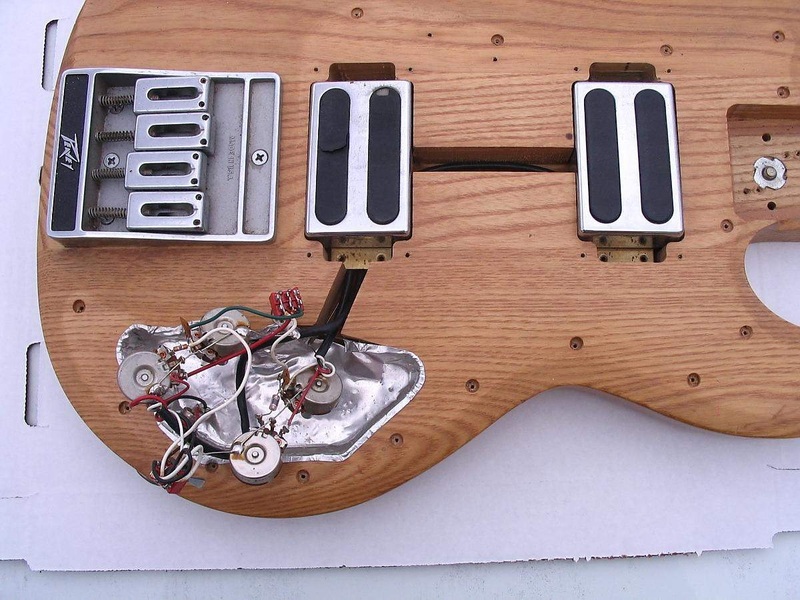 Each pickups tone circuit operated independently. When the potentiometer was fully turned to the #10 position, the pickup was in the single coil mode. Rotating the control counterclockwise to approximately the #7 position put the pickup into the humbucking mode. Further counterclockwise rotation engaged the tone capacitor. It was a most interesting feature. All of the metal parts for the T-60 were made in house and were very well done. The bridge/saddle unit had a metal housing, and adjustable saddles that were similar to those on a Fender Stratocaster. Most of the artists I recall using the Peavey T-60 were Nashville based session players that had gigs on television shows in the 1980’s. Chet Atkins had a Peavey T-60, but it was modified by his accompanist/guitar tech, Paul Yandell. Yandell removed the neck from Chet’s T-60 and replaced it with a wide Fender Stratocaster neck. He also took out the electronics and pickups from the guitar. Paul crafted a new pickguard and installed two EMG single coil pickups in the middle and bridge position. 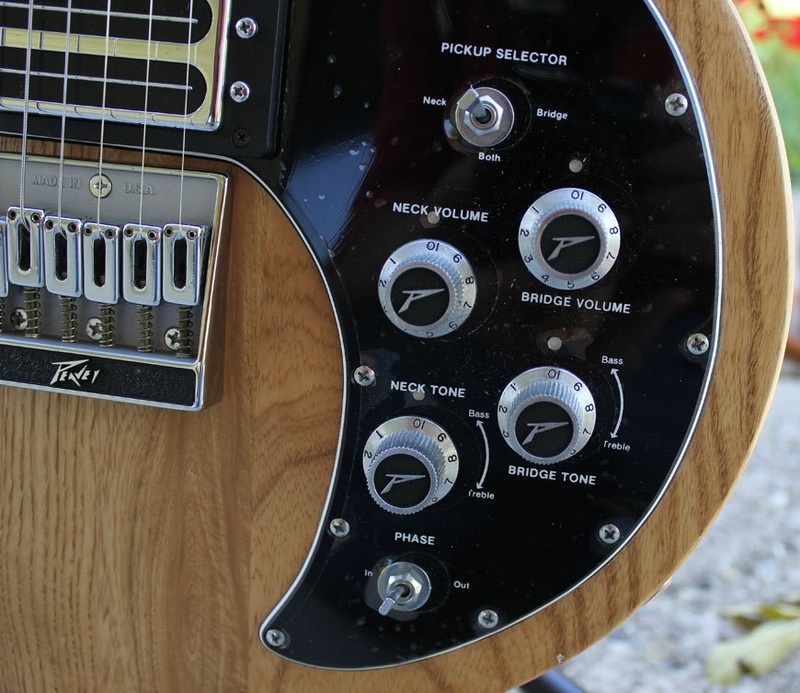 A volume control was added for each pickup as well as a single tone control. Paul added the phasing switch. 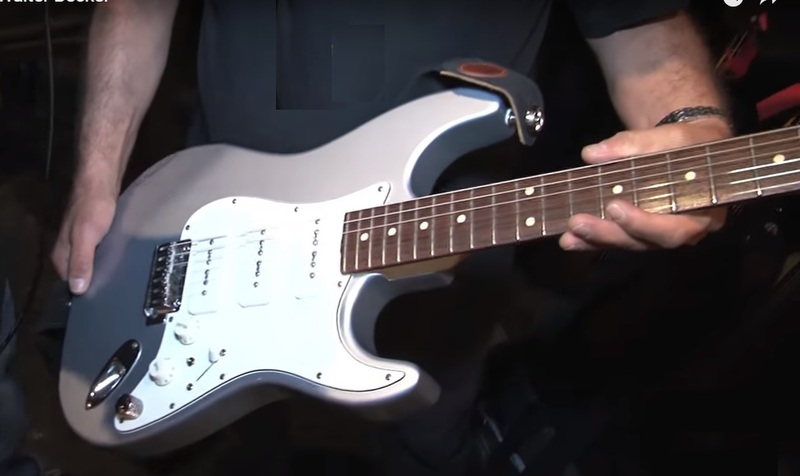 This pickup position was used because it is practically impossible to get harmonics on a Fender stratocaster if the neck pickup is engaged. The placement of that pickup cancels out harmonics. Paul called this guitar "The Peaver". Chet used it on at least 14 different recordings because he liked the phased sound. The T-40 bass showed up the same year as the matching guitar. It weighed in at about 10 1/2 pounds, and had all the features found on the guitar, along with a long scale neck. Much like the guitar, the original 1978 models were available in a natural finish, while subsequent models had either a stained, sunburst, or painted finish. 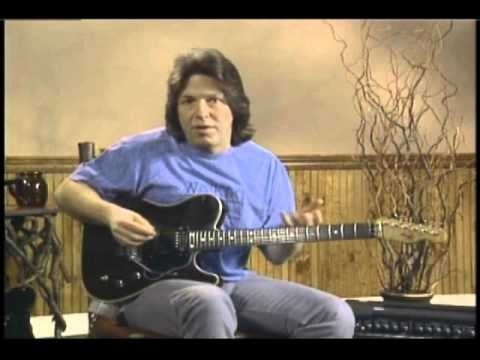 Again, the original models had humbucking toaster pickups. 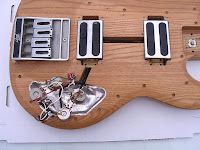 Although the pickups had Peavey Super ferrite magnetic blades, they were hidden beneath the covers. 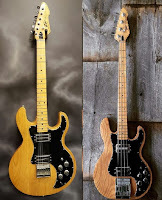 By 1981 these were replaced with blade pickups. The electronics on the bass model were the same ones featured on the T-60 guitar. On both the guitar and the bass, the electronics were shielded with an aluminum lining. 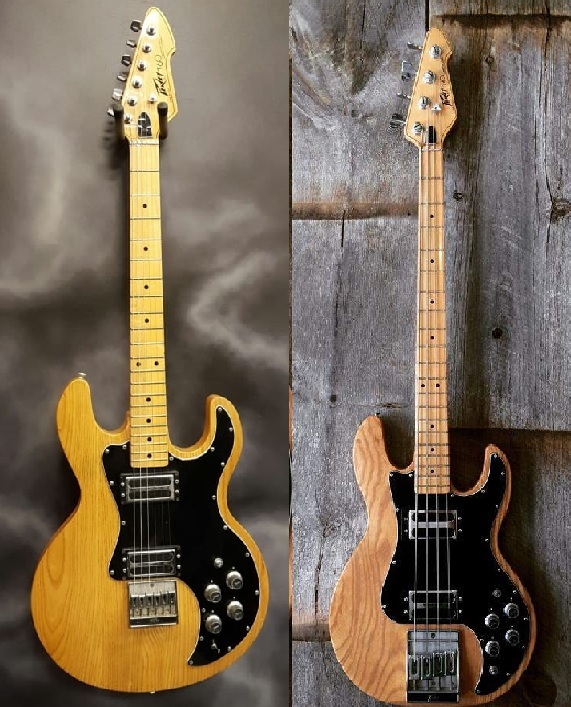 Both the T-60 guitar and the T-40 bass are excellent instruments and can still be found on auction sites at more reasonable prices than many other similar instruments. 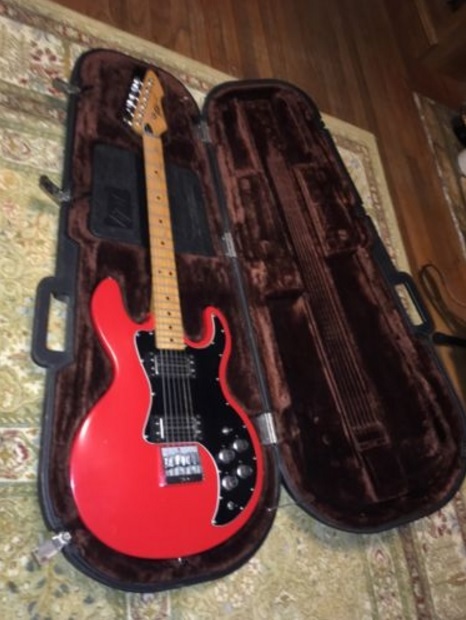 As a plus, these the initial price for these Peavey guitars included a hard-shell case. So most sellers include the case in their offer. 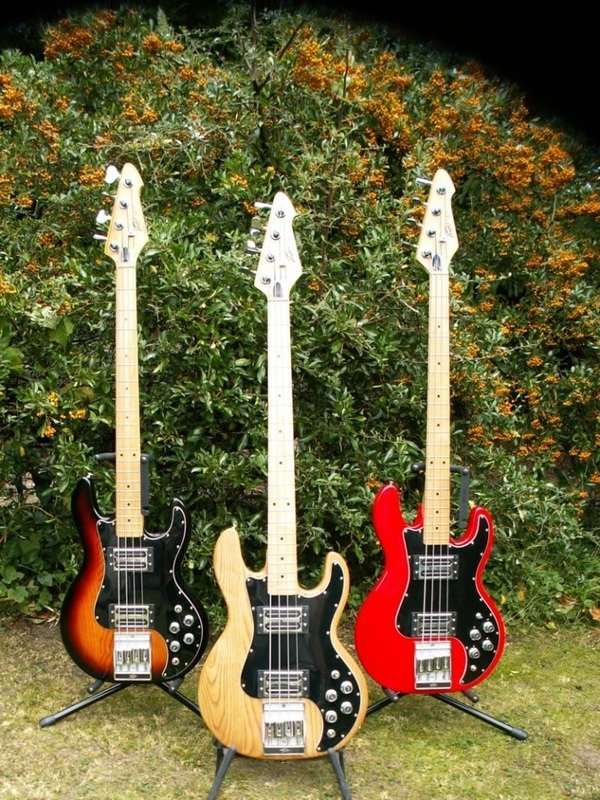 These were excellent instruments made 100% in the USA. Click on the links below the pictures for the sources. Click on the links in the text for further information. 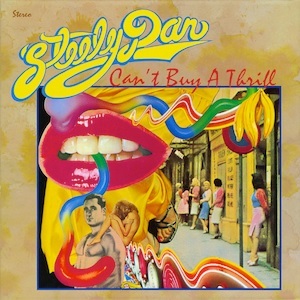 Some of the greatest songs from the 1970’s came from the “group” Steely Dan. Although for two years, Becker and Fagan toured as a group, most of their creations took place in the studio. 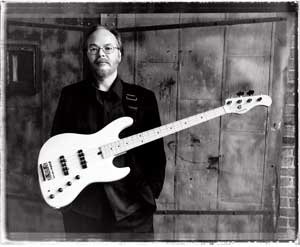 Becker originally played bass with the original group before switching to the instrument he loved; the guitar. Walter Becker cannot be defined as “guitar god”. 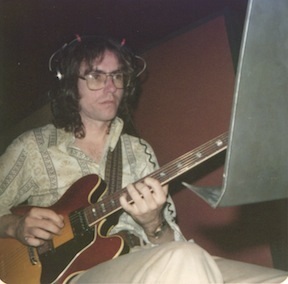 All of the solos played on the recordings were done by studio pros. But Becker’s gift was songwriting, production, and the knowledge of what to leave in, what to leave out. Fagan did most of the vocals, and stands out as the front man, but Becker added more to the group than was ever acknowledged. 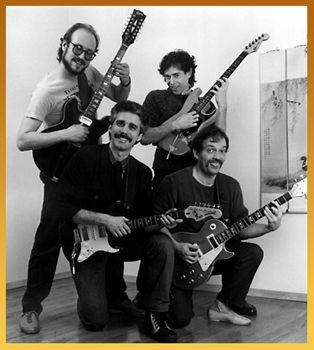 The foundation of the group was to write, and produce rock songs with a hint of rhythm and blues, and jazz. And they were very good at that. 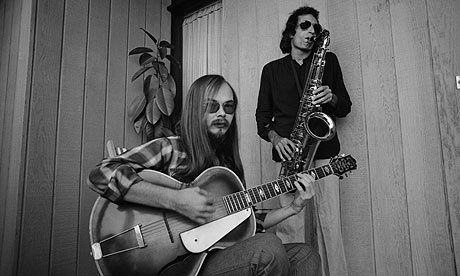 Becker originally played saxophone, but took guitar lessons from his neighbor Randy Wolfe (aka Randy California of the group Spirit). Becker had a troubled childhood. He attended Bard College in New York, and it was there that he met fellow student Donald Fagan. Fagan heard him playing electric guitar and asked if he wanted to start a band. This prompted the two guys to begin writing songs together. They originally played covers of some not-so-well-known songs, along with their own compositions. One of the drummers in this early group was comedy star Chevy Chase. Both guys landed gigs in the touring band of Jay and the Americans. 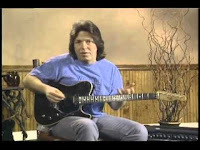 Jay Black, the groups front man, and lead singer, was a clean-cut, all-American, while Becker, and Fagan were left-overs from the “Beat” era. Becker and Fagan left when their salaries were cut in half by Black and his manager. 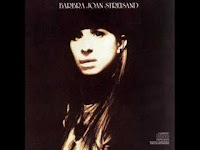 Barbara Steisand recorded a song written by Fagan and Becker called I Mean To Shine. 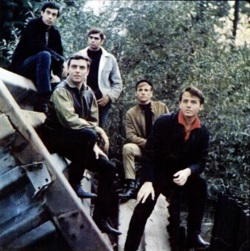 After they determined they could make a career in the music business, the men moved to California and landed a deal as staff songwriters for ABC records. 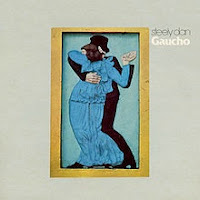 And it was there that Steely Dan became a band. 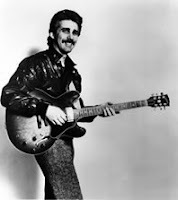 Along with Fagan and Becker were guitarist Jeff “Skunk” Baxter, drummer Jim Hodges, and singer David Palmer, who joined as a singer when Fagan was unable to overcome his stage-fright. They recorded a single called Dallas, that tanked. 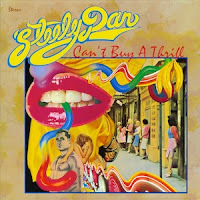 It was not until 1972 when the LP, Can’t Buy A Thrill was released, that the band got any recognition. 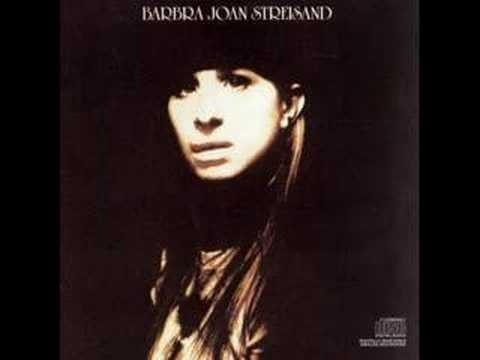 Among the songs were Reelin’ In The Years, Do It Again, and Dirty Work (sung by Palmer). Their second album Countdown to Ecstacy, released in 1973, was another hit and contained the FM hit Bodhisattva. 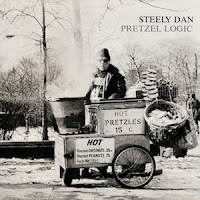 Their 1974 album, Pretzel Logic, had the hit, Rikki Don’t Loose That Number. During this era, Becker and Fagan wanted to concentrate on writing and producing, so the did not want to tour. 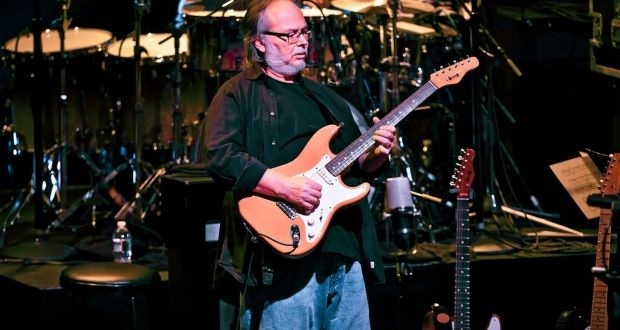 Members of their band left and were replaced by session men, including Michael McDonald, Larry Carlton, Lee Ritenour, sax player Phil Woods, bass player Winton Felder, and some members of the group that would go on to become Toto. Subsequent albums were released including Kathy Lied and The Royal Scam, and finally Aja, which included such hits as Peg, and Deacon Blues. The men were asked to write the music for a movie called FM, which became another hit song. During most of 1978, Becker and Fagan took a break, but were writing songs for the album Gaucho. That year Becker’s girlfriend died of a drug overdose in his apartment, which resulted in a lawsuit. During the same year Becker was struck by a taxi and his leg was shattered. Gaucho finally surfaced and contained the hit Hey Nineteen. 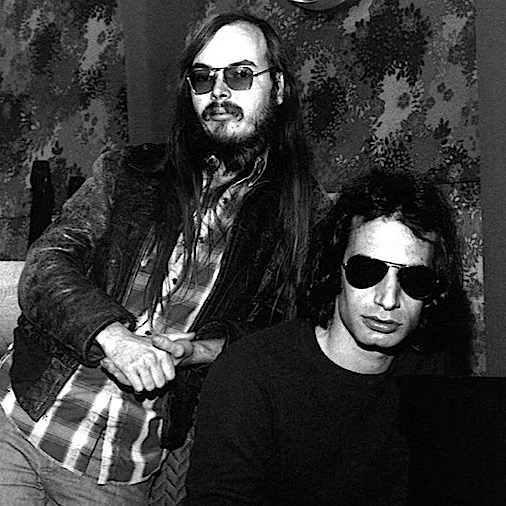 But internal disagreements caused Steely Dan to disband in 1981. 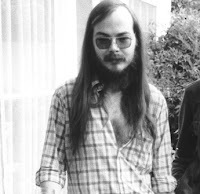 Walter Becker moved to Hawaii and purchased an avacado farm. He also quit using drugs and became sober. Becker occasionally produced recordings for other artists, including Rikki Lee Jones. In 1986 Becker and Fagan performed together on an album by Rosie Vela, and artist signed by their former manager, Gary Katz. The record was called Zazu. 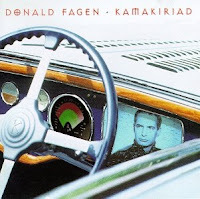 Becker went on to do production for Fagan’s solo LP Kamakiriad. In 1994 MCA records release Citizen Steely Dan, a boxed set of their recordings. Becker and Fagan went on tour to support the effort. Subsequent tours took place in 2000 and 2003. Fagan continued to perform, sometimes with Becker. 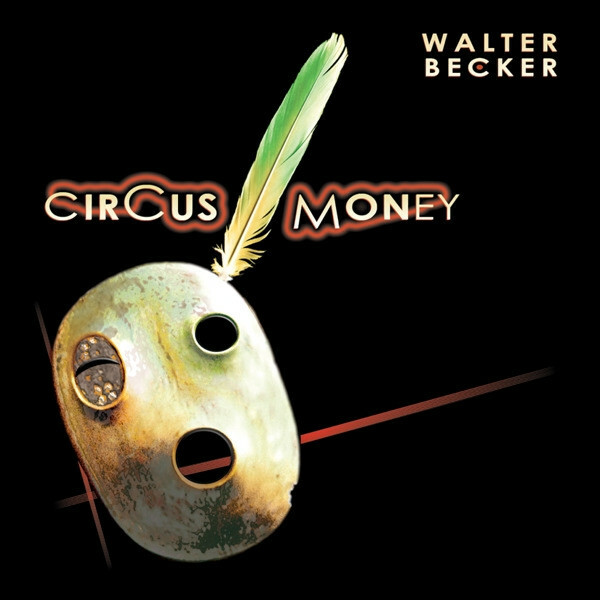 Becker released his solo LP, Circus Money, in 2008. 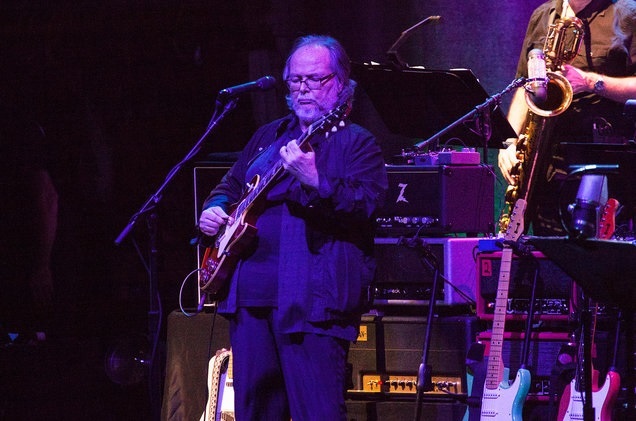 The Steely Dan band played its final performance with Walter Becker on May 27th. Becker was supposed to join Fagan for more shows, but had to cancel for undisclosed reasons. Becker passed away on Sunday, September 3, 2017, due to an undisclosed illness. He left behind an approximate net worth of $17.0 million. He leaves behind his wife Elinor and his two children. Throughout his career, Becker's on stage guitars and basses were usually Gibson or Fender style instruments. One of the earliest pictures shows Becker on an acoustic archtop Epiphone Broadway guitar. 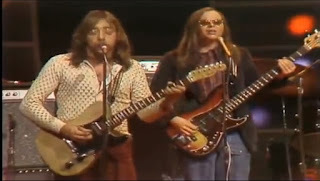 In the early days when Steely Dan was touring, the guitar parts were left to Jeff "Skunk" Baxter, while Becker played bass. Here is Becker with a modified PJ Fender bass. Baxter is playing the Telecaster. 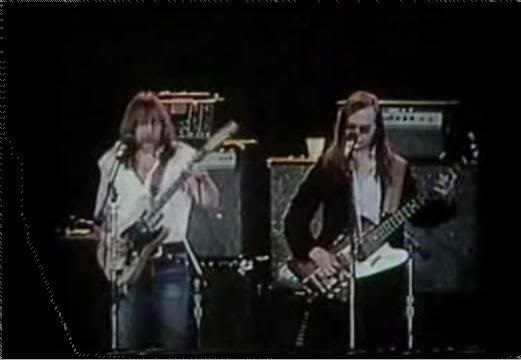 In a later photo from that era, Becker is playing a modified Gibson Thunderbird bass. 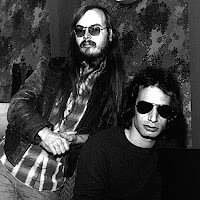 We do not see many photos of Walter Becker playing an instrument until he and Fagan got back together in 1986. 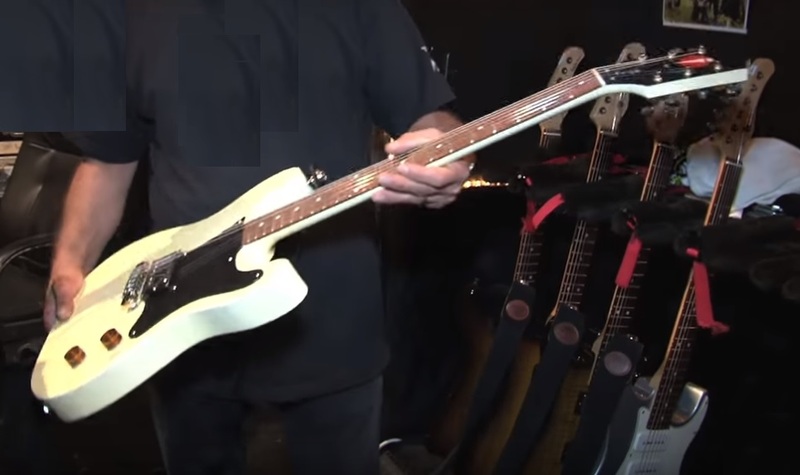 Becker played a variety of guitars in the studio including this Grimes model jazz guitar. 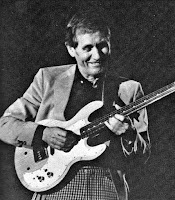 Becker was fond of guitars made by New York luthier, Roger Sadowsky. 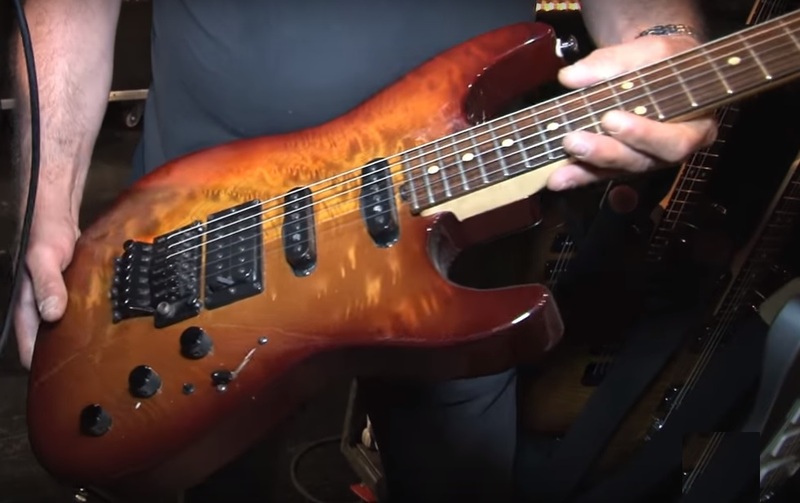 Here Becker plays his signature model. 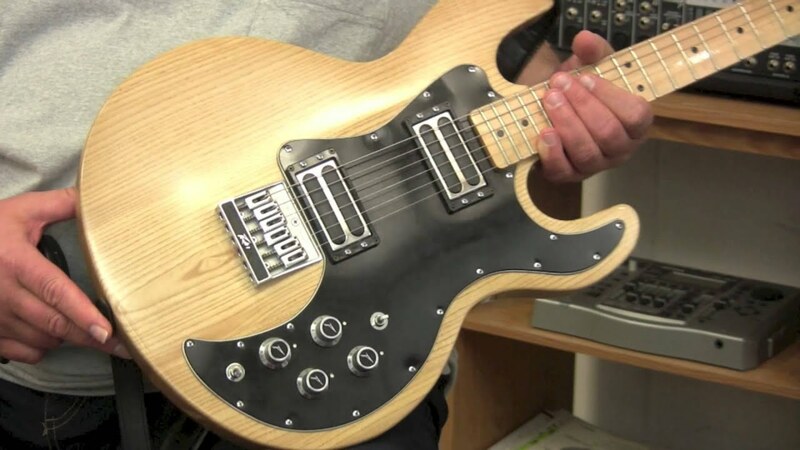 This guitar has a built-in preamp, with a gain switch. This guitar also has a push-pull EQ control, and a 5 position slider switch to control its three P90 style pickups. Becker also has a similar model with twin humbuckers. Becker also played an all mahogany Telecaster-style guitar made by New York luthier Chihoe Hahn. 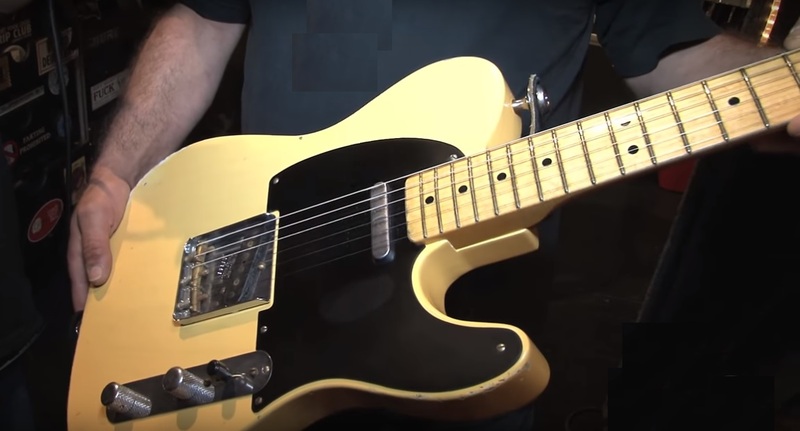 Becker occasionally used a Fender mid 2000 relic'd No-caster in concerts. 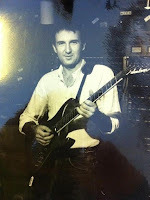 Becker played several Stratocaster-style guitars that were also made by Hahn Guitars. Becker also owns and tours with a unique single pickup guitar made by Frye Guitars of Green Bay, Wisconsin by luthier Ben Frye. 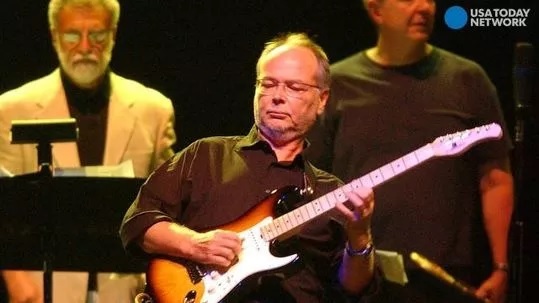 Walter Becker owned several Sadowsky guitars including this Silver stratocaster-style model that has three P90 style pickups, a built-in preamp, and EQ control. Another Sadowsky guitar is this one that was Becker's favorite studio guitar. It has two single coil pickups, and a bridge humbucker, and the EQ, and preamp features found on his other Sadowskys, but this one includes tune-able bridge saddles. 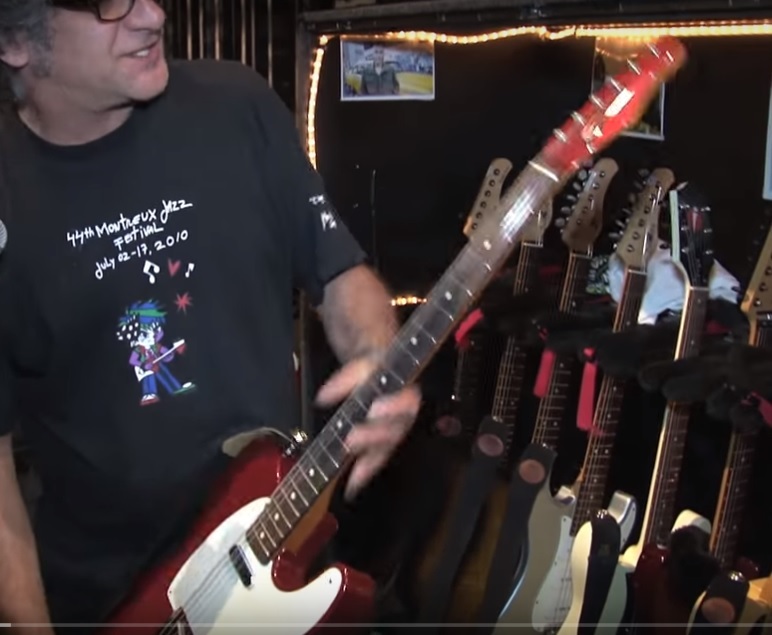 Becker seemed to be very fond of Sadowsky Stratocaster-style guitars. 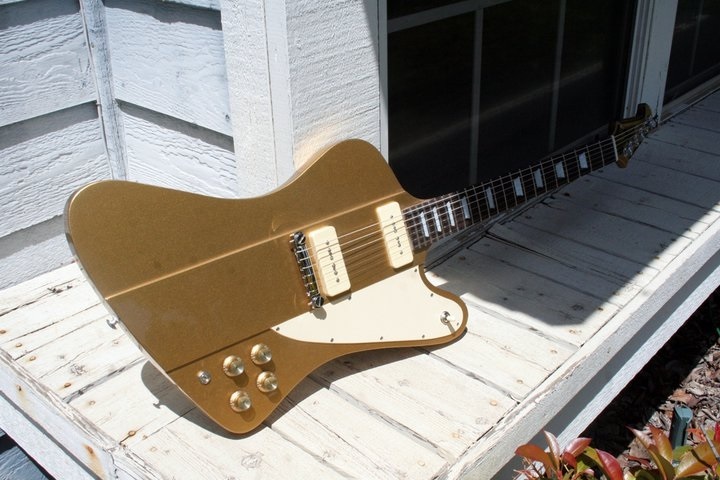 Walter also owned and played a unique guitar that looks a lot like a Gibson Firebird, but it has a gold finish, and two P90 style pickups. It was made by Kaur Guitars of California, and is their Banshee model. This model came with Steinberger tuners. 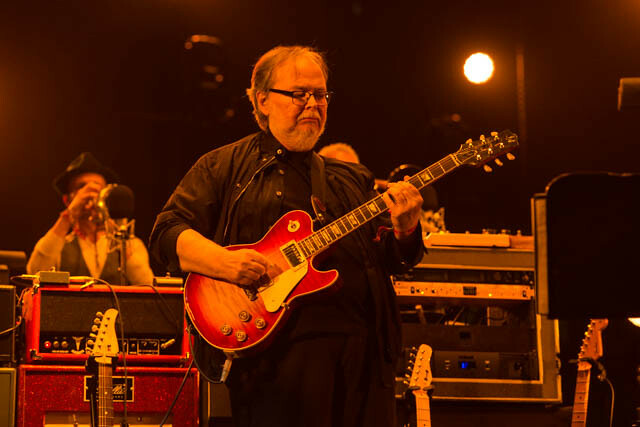 Becker also owned and played a Fano Alt de facto RB6 guitar that is equipped with twin Lindy Fralin P90 style pickups and a unique "ToneStyler" control. 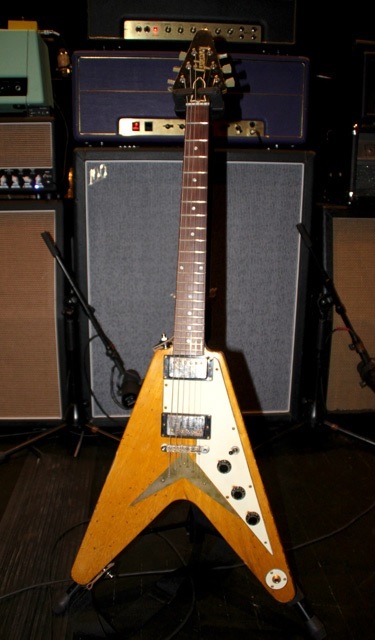 Becker also owned, but seldom played a Gibson Flying Vee, which was based on the original 1958 model. 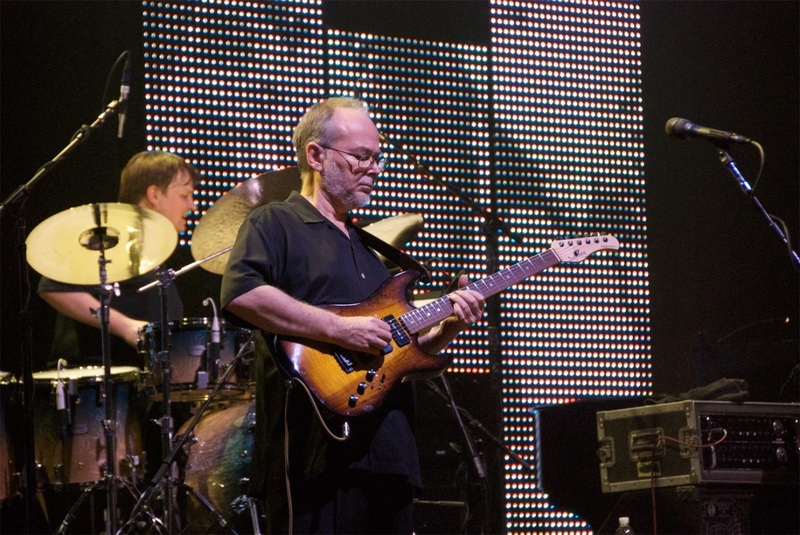 As the early touring band only existed for around two years, most all of the groups music took place in the studio using session guitarists. These included Dean Parks, who is one of LA's busiest session men. 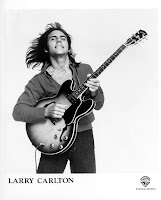 Probably the best known session player for Steely Dan was Mr. 335, Larry Carlton. Carlton's first appearance was on the song Daddy Don't Live In That New York City No More from the Katy Lied Album. Carlton reappeared on the groups fifth album; Royal Scam, where his excellent licks were on Kid Charlemagne. 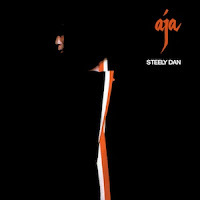 He was an important part of the Steely Dan sound. 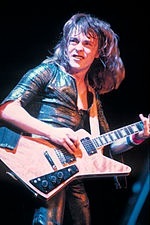 A lesser known session player for Steely Dan was Rick Derringer, who appeared on the Katy Lied LP. Another popular session player of that era was guitarist, Jay "Wah-wah" Graydon. The only track he played on was their hit Peg. 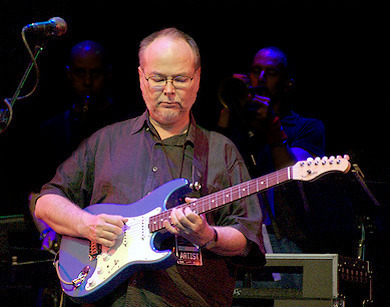 Guitarist Hugh McCracken was hired to play rhythm on Kathy Lied. Guitarist Steve Khan played on both the Aja and Gaucho albums. 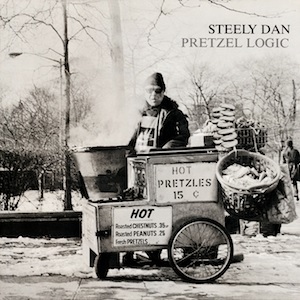 For him it must have been like going back in time since he was an original member of Steely Dan. 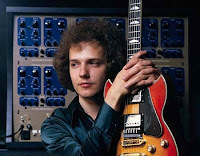 Jazz player and session man Lee Ritenour was also a session player called up for the Aja LP. 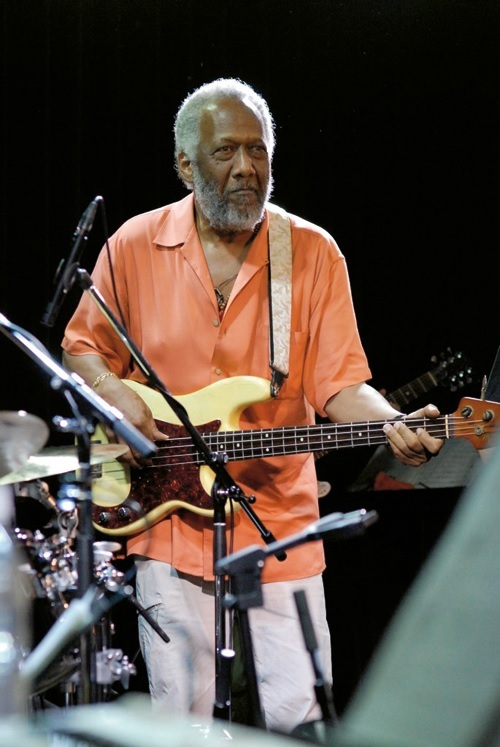 LA Bass veteran, Chuck Rainey, was called up to do the bass guitar part on Peg. Click on the links below the pictures for sources. Click on the links in the text for more information.